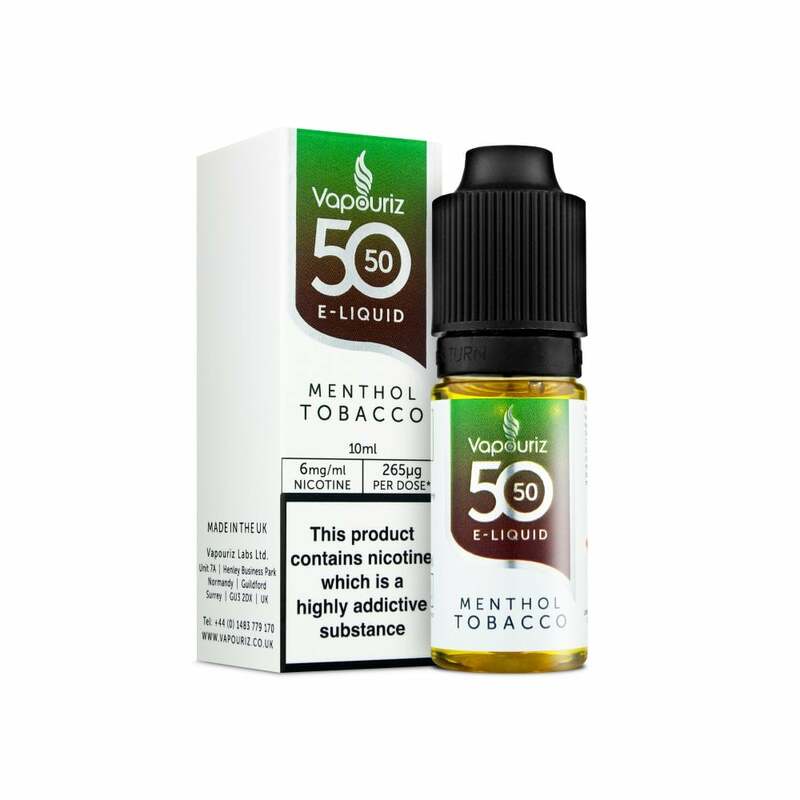 Add a touch of ice to your tobacco vape with Vapouriz Menthol Tobacco e-liquid. Rich, robust tobacco on the inhale is followed by a fresh and frosty breeze on the exhale for a cool and refreshing vape. this is now my favourite vape!! great flavour and throat hit.